I own a cheer and gymnastic gym. 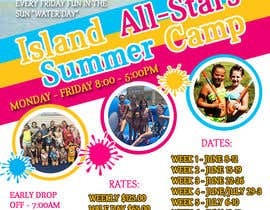 I am looking for a Summer camp flyer like I have added a pic of. The "blue and green one with the pics" is last years flyer. 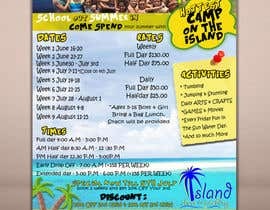 (The 2nd file/[login to view URL] camp year 2) that I added is for the flyer I need done. I need all that information on the flyer. Our Colors are blue, yellow, white. You dont have to use these colors. I want bright colors. 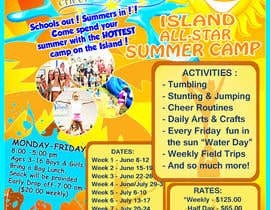 We live on an Island- Hints why we are the Island All-Stars. Wanter, Sun, Palm trees and lots of Fun! Sunny Florida is where my business is. I want something fun and eye catching! 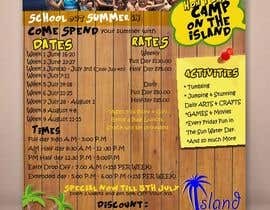 I want people to read our flyer and want to come to our camp. You can change the words Ive added just need the dates. Times, Money, Phone number, Email and website as well as all the Information added for Doc. two. I have added a few pics that you could also add to the flyer to bring it to life. 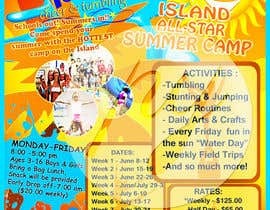 My business website is www.islandcheerandtumbling.com. Check it out and learn more about us! I believe it will help you make our Flyer come to life and see what we are looking for. for more informations please message me. cant wait to see EVERYONES WORK! Hi there, Can we still add designs or you already did select a winner? is there anything you need sir ? What size must be the flyer? 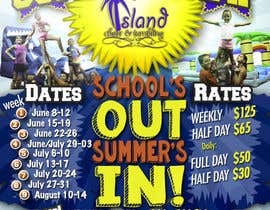 Please share the schedule for this year. One side or two sides?